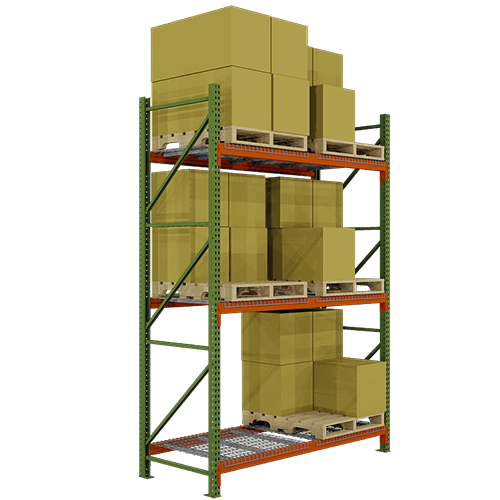 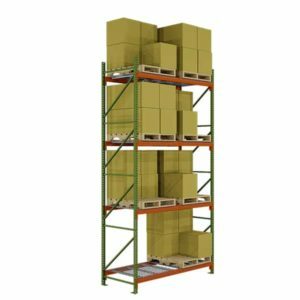 Material Handling Exchange pallet rack starter kits include everything you need to assemble one standing bay of pallet racking with two levels. 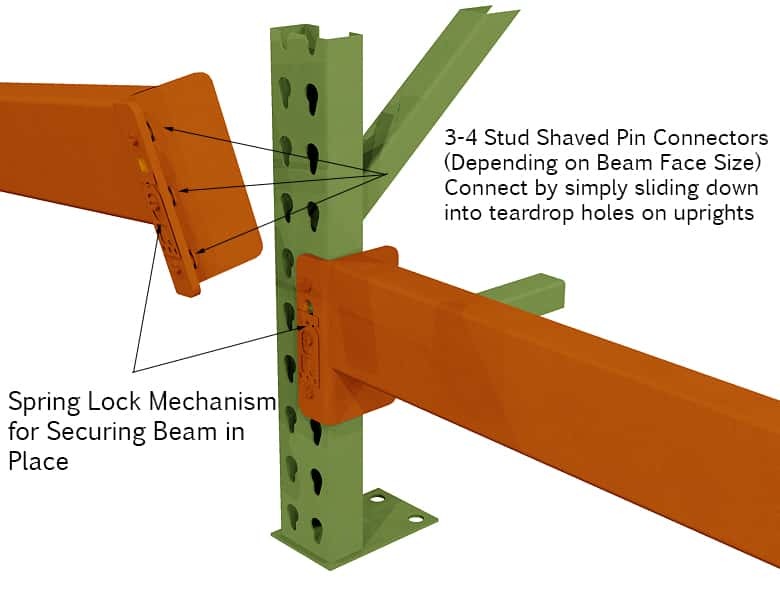 Our uprights are made up of 14 gauge steel and utilize teardrop style connectivity. 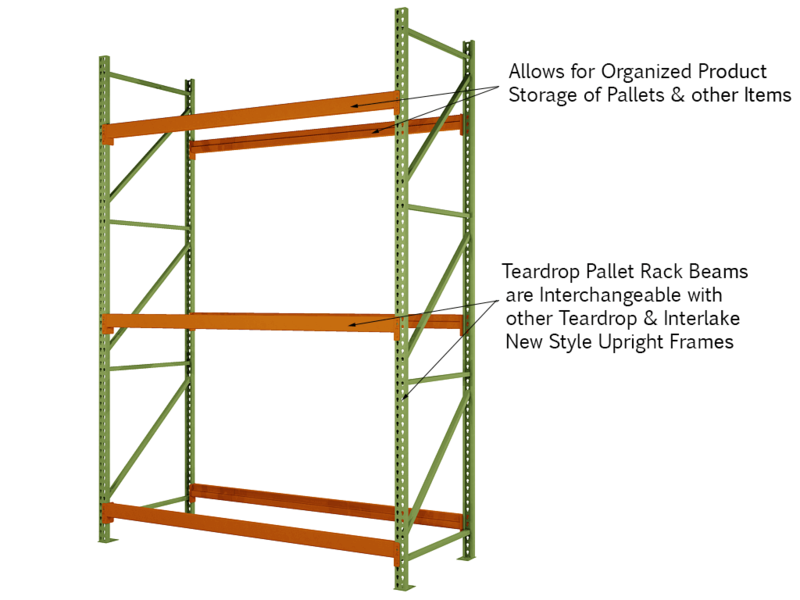 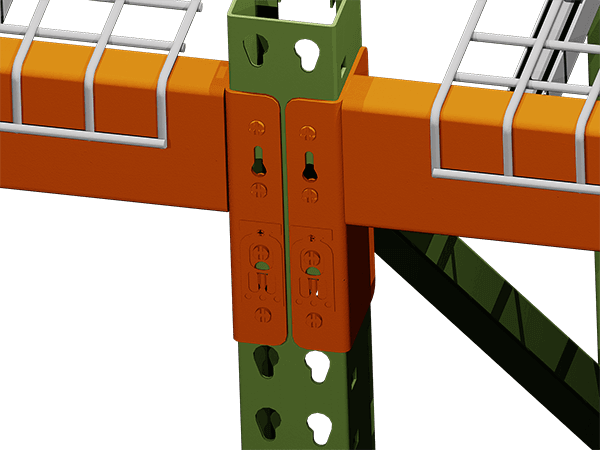 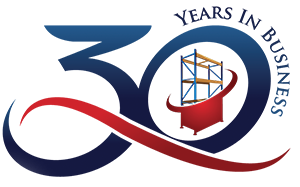 Teardrop is the most universal connector style in pallet racking and can be used with many different styles such as shaved pin or new style. 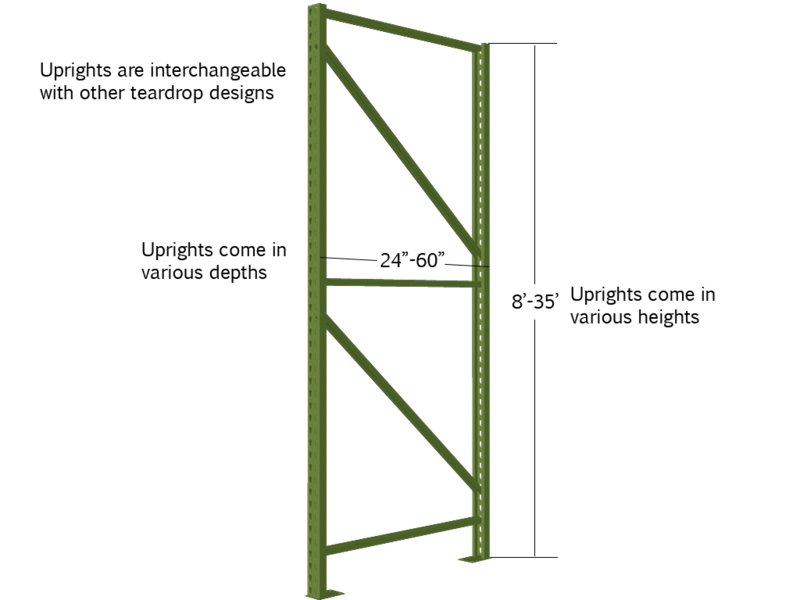 Our beams are made from 16 gauge steel. 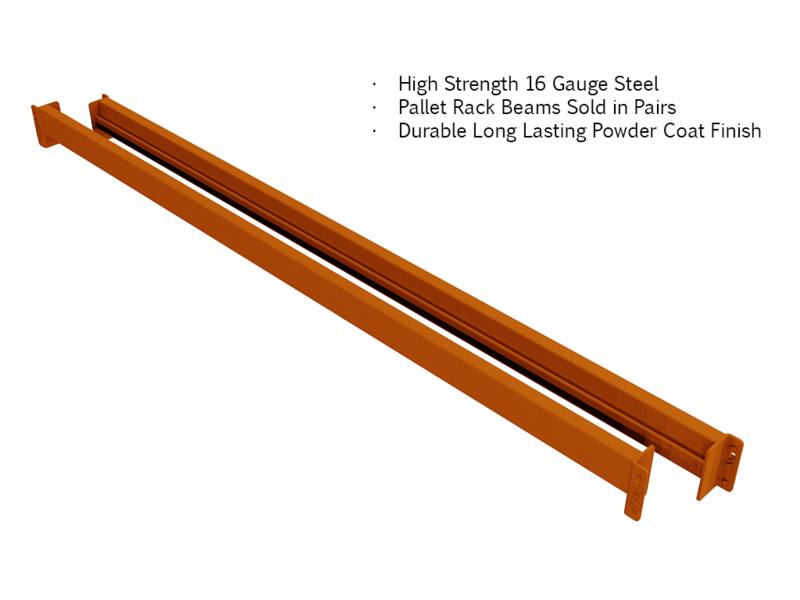 They have a 1 5/8″ step and shaved pin connectors. 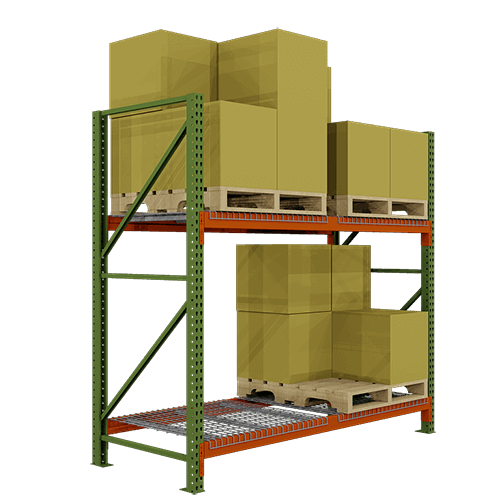 They are durable enough to handle even the most heavy loads. 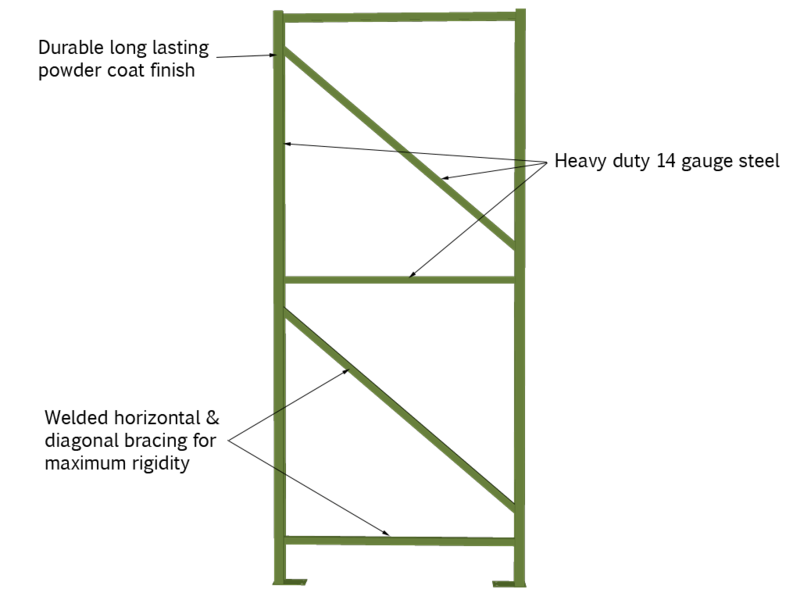 Wire decking in pictures are not included. 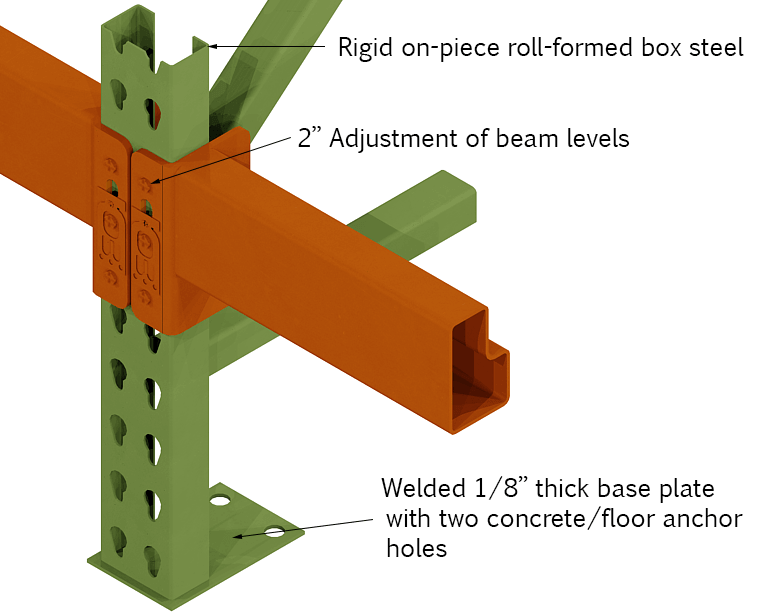 Please see related products for wire decking options to fit your starter and add-on units. 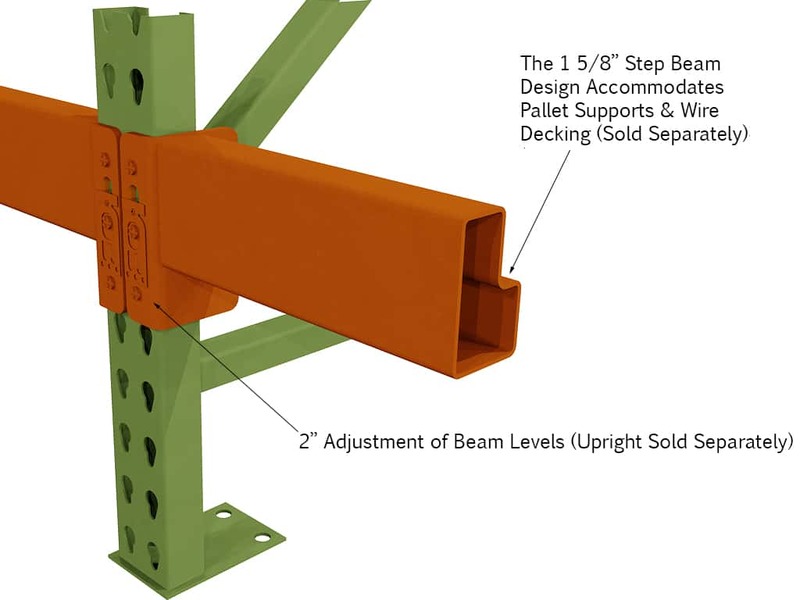 Note: If you don’t see the beam size you need in the drop down box, please call. 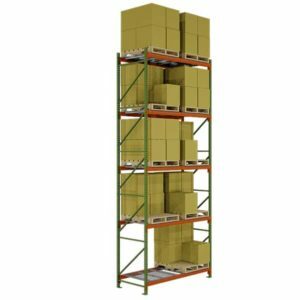 We carry all sizes.